A little over two years ago, YWCA Canberra took a big leap in partnership with Richardson Primary School, to open the ACT’s first ever Clubhouse. Based on the global Clubhouse model, which was founded in Boston in 1993, we opened a free, out-of-school learning space that connects young people in Tuggeranong with access to the latest in technology, and the mentoring and support needed to grow their skills in science, technology, engineering, arts and mathematics (STEAM). It was a bold move – the Clubhouse model relies on corporate and philanthropic funding to maintain the space, provide the technology and other supplies, and to support the operational requirements of the program. We worked hard to build a network of partners combining industry, government and philanthropic organisations, and together we created a vibrant, inclusive space that has grown beyond our imagination. When we opened our doors officially in October 2014, our membership was small, but growing, and we could only imagine the impact the Clubhouse would have on the local community. Now, as we launch our 2016 Clubhouse Impact Report, it’s clear to me how far we have come, and how incredible the growth in our Clubhouse members’ skills and ability is. In just two years, we have grown our membership to over 180 young people in the Tuggeranong region. Of those members, many have had the opportunity to connect with the STEAM industry through work experience, excursions and mentorship. Take, for example, one of our first Clubhouse members, Cameron. From his very first visits to the Clubhouse, it was clear that Cameron has a keen natural ability in photography. Within months, his stunning photos of the local environment were gracing the Clubhouse’s walls, and eliciting compliments from our visitors. In his time at the Clubhouse, Cameron has had the chance to engage with work experience through the creative agency, Coordinate, photographing and filming local ice-hockey team, CBR Brave. As his skills have grown, Cameron has also taken on a leadership role within the Clubhouse, mentoring younger members and contributing to the culture and inclusiveness of the space. It has been wonderful to see Cameron’s skills and confidence grow as a result of participating in the Clubhouse, and he is just one example of the impact of passion learning in a supportive environment. Over the past 12 months, our Clubhouse team has worked hard to extend this impact to the broader community. We have increased our school outreach, and worked with Lake Tuggeranong College to support a cohort of students to complete their education through the Big Picture program, a special photography course hosted through Manuka Arts Centre. We also hosted the first ever ‘Tech Time Workshops’, which brought together a group of enthusiastic girls to learn the basics of robotics, and compete in a special robot challenge, culminating in a public competition at the Tuggeranong Hyperdome. These initiatives are outlined in the 2016 Clubhouse Impact Report, where you can also meet our Clubhouse members, hear from our Clubhouse Ambassadors and learn more about our objectives and outcomes. 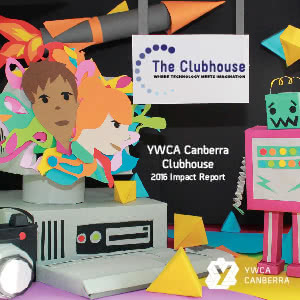 I’m personally very proud of the achievements of the Clubhouse to date, and would like to acknowledge the commitment and contributions of YWCA Canberra’s Community Services team in bringing this program to life. On behalf of the YWCA Canberra and Clubhouse team, I would also like to thank all of our partners, supporters, donors and members for their contributions this year. We can’t wait to see what next year brings for the Clubhouse! 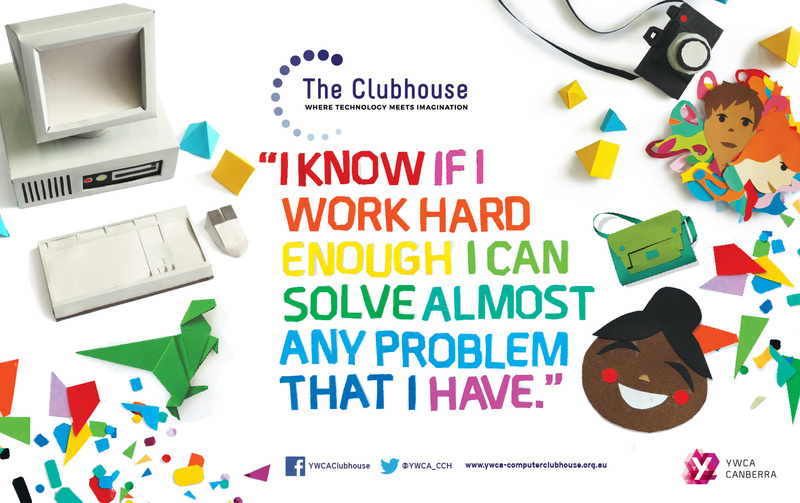 To find out more about the Clubhouse, and how you or your organisation can get involved, email Joanna Le, Director of Communication, Advocacy and Fundraising at Joanna.Le@ywca-canberra.org.au, or sign up to the Clubhouse Newsletter! Zoya Patel has contributed 1 entries to our website, so far. View entries by Zoya Patel.